It's been five years since Toy Story 3 earned Pixar the acclaim we expect from them, with Cars 2, Brave, and Monsters University leaving much to be desired by many viewers. The latter two I still thoroughly enjoy, but it's this years Inside Out that truly brings Pixar back on form - not only thanks to it's bravely original premise, but also it's masterful, flawless execution. 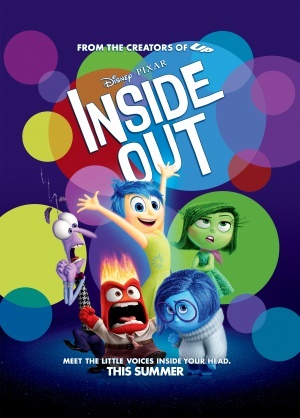 Inside Out tells the tale of Riley Anderson (Kaitlyn Dias), a young girl who struggles to cope with moving to a new home as her father is forced to change jobs. Inside her head, her five emotions Joy (Amy Poehler), Sadness (Phyllis Smith), Anger (Lewis Black), Disgust (Mindy Kaling), and Fear (Bill Hader) attempt to guide Riley through her life at Headquarters, the centre of her mind. However, the challenges of moving to a new environment overwhelm their own abilities, and when Joy and Sadness are whisked away into the depths of Riley's mind following a major breakdown, they are forced to journey back to Headquarters to bring Riley back to her old self. Inside Out is based on an original concept derived from writer/director Peter Docter, around the thought of what exactly goes on inside people's heads to influence their personality and emotions. Such a concept is pieced together with witty and charming attention to the exact inner workings of a child's mind, including their vivid, colourful imaginations, and naive emotions that better with age and experience in new situations. Pixar convey this idea with a dual appeal, making it accessible and approachable to young audiences, but never sacrificing the true complexity it requires, and so adults can see it as much more than another generic colourful flick they have to entertain their kids with. This ranks as one of Pixar's best efforts and without a doubt one of the best animated films to be released; not only due to the storytelling, but of course the gorgeous animation, talented vocal work (particularly from Richard Kind as Bing Bong), and a moving score by Michael Giacchino. 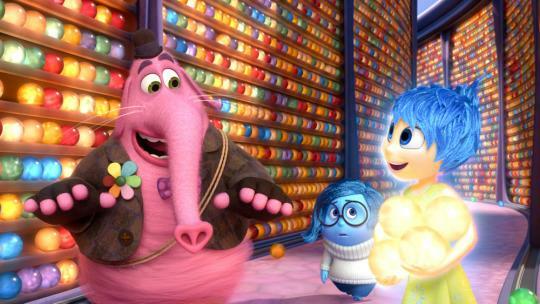 It's another testament to how audiences will seek out original animated offerings providing they boast stories and ideas that have a widespread appeal, and in that respect, Inside Out delivers everything you could possibly ask for.